As a church school, we strongly believe in making a difference to others. 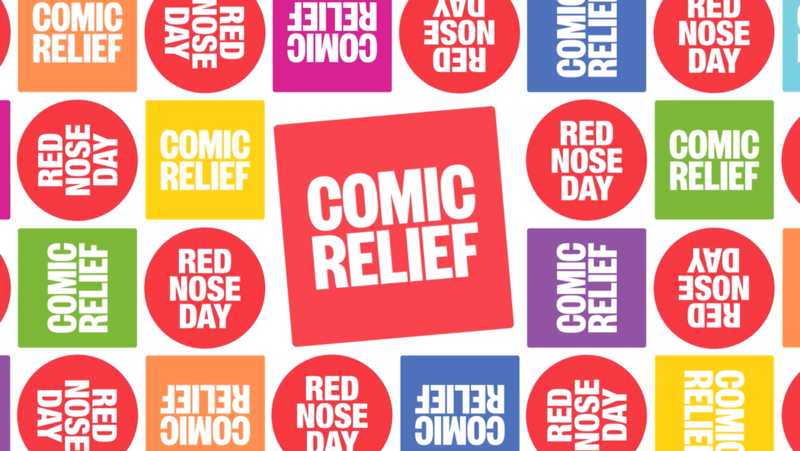 We are very proud of the difference that our school community has made locally, nationally and globally so far this school year..
On Friday 15th March, we all came to school in non uniform wearing traditional/fairy tale outfits or red to raise money for Red Nose Day. Our school council also did a fantastic job of selling Red Noses. We are delighted that our children raised just over £375. Thank you for your support once again. Thank you to everyone who gave so generously at our Christmas performances.£1200 has been raised for Bluebell Wood Children's Hospice, for which we are very grateful. On Friday 16th November, we organised a break time cake sale. We are delighted that our sale of Pudsey ears, wristbands and cake sale raised a tremendous £567.55. Thank you for your support once again. Thank you to everyone who has so kindly put shoe boxes together to support children around the world. It is a privilege to have been involved in this wonderful project each year. Our shoe boxes have now been collected and we were delighted to be able to send an amazing 116 boxes. Many thanks to everyone who supported our 2018 harvest appeal. We were delighted to send a van load of food to the Sheffield Cathedral Archer Project. This is already being used to support the homeless across Sheffield, and the Archer Project staff have asked me to pass on their thanks. We were also able to send a cheque for £280 to support the Bishop of Derby’s harvest appeal. Thank you to everyone who gave so generously at our Summer performances. £513 has been raised for Cancer Research UK, for which we are very grateful. Thank you to everyone who gave so generously at our Christmas performances.£800 has already been raised for Bluebell Wood Children's Hospice, for which we are very grateful. Thank you to everyone who has so kindly put shoe boxes together to support children around the world. It is a privilege to have been involved in this wonderful project each year, and we look forward to hearing where our shoe boxes are going. Our shoe boxes were collected earlier today, and we were delighted to be able to send an amazing 94 boxes. On Friday 17th November, we all came to school in non uniform wearing spots to raise money for Children in Need. Our school council also organised a cake sale . We are delighted that our 'spotty' children raised just over £400. Thank you for your support once again. This term, we have been busy fundraising for our for harvest appeal. More information is available through this link: Harvest Appeal 2017. We are delighted that we have raised over £225 for the Bishop of Derby's Harvest Appeal, the Parachinar Project. As if that was not enough, we have also sent a van load of food to the Sheffield Cathedral Archer Project. Thank you so much for your generosity in supporting these worthy charities. Thank you to everyone who gave so generously at our infant Christmas performance yesterday. Over £250 has already been raised for Bluebell Wood Children's Hospice, for which we are very grateful. Thank you to everyone who supported this wonderful charity again this year. Together with St Andrew's Pre School, we collected an amazing 93 shoe boxes. Thank you to everyone who supported our 2016 poppy appeal for the Royal British Legion, We were able to sell a wide range on new products, alongside the traditional poppies. We also had a two minute silence in school on 11th November. This year, we smashed all previous records and raised a wonderful £248.73. This term, we have been busy fundraising for our for harvest appeal. More information is available through this link: Harvest Appeal 2016. We are delighted that we have raised over £190 for the Bishop of Derby's Harvest Appeal, the Kolkata Project. As if that was not enough, we have also sent a van load of food to the Sheffield Cathedral Archer Project.